A sons searing memoir of his Vietnamese fathers experiences over the course of three wars. Once wealthy landowners, Thong Van Phams family was shattered by the tumultuous events of the twentieth century: the festering French occupation of Indochina, the Japanese invasion during World War II, and the Vietnam War. Told in dazzling chapters that alternate between events in the past and those closer to the present, The Eaves of Heaven brilliantly re-creates the trials of everyday life in Vietnam as endured by one man, from the fall of Hanoi and the collapse of French colonialism to the frenzied evacuation of Saigon. Pham offers a rare portal into a lost world as he chronicles Thong Van Phams heartbreaks, triumphs, and bizarre reversals of fortune, whether as a South Vietnamese soldier pinned down by enemy fire, a prisoner of the North Vietnamese under brutal interrogation, or a refugee desperately trying to escape Vietnam after the last American helicopter has abandoned Saigon. This is the story of a man caught in the maelstrom of twentieth-century politics, a gripping memoir told with the urgency of a wartime dispatch by a writer of surpassing talent. My family came from the Red River Delta, an alluvial plain of raven earth and limitless water. It was an exceptionally fertile country, though not a youthful land with treasures to be plundered. What riches it had, it yielded solely to sweat and toil. It had known centuries of peasant hands. Andrew Pham's writing throughout The Eaves of Heaven is crisp and straight-forward. His descriptions are detailed, yet minimal, providing an excellent sense of time and place without embellishment. The story never bogs down or becomes dull. Readers may, in fact, find themselves wishing for more after turning the final page. This book's fast pace and involving story is likely to appeal to a wide range of readers well beyond the genre boundaries of history and biography aficionados. (Reviewed by Kim Kovacs). A young Vietnamese loses his ancestral home in the north, flees with his family, first to Hanoi and later to Saigon, endures bloody fighting as an unwilling conscript in the South Vietnamese army, flees once more when the Communists prevail, is arrested and undergoes a year of harsh re-education digging irrigation ditches before being released. Yet The Eaves of Heaven is a work of radiance. In some ways, it resembles that supreme recollection of a world lost to history's depredations, Speak, Memory, in which Vladimir Nabokov summoned up his pre-revolutionary Russian boyhood. Starred Review. This beautifully written book is essential for public and academic libraries. Pham does an admirable job of recounting the complex cast of characters and the political machinations of the various groups vying for power over the years. Starred Review. Personal tragedy and triumph, related with amazing perspective against an epic backdrop. A beautifully written story that needs to be told and heard. We've heard far too much from Americans writing about The War, but this portrait provides another viewpoint. Just finished the book. Very good reading. Sobering. I had never read anything that was from another viewpoint other than American. I can not imagine the grief and hardship these people went through for so many years. Vietnam's history has been one of repeated invasions and resistance (map of Vietnam today). For most of the first millennium AD, Vietnam was controlled by the Chinese. A final rebellion in 938 led to Vietnam achieving independence until the mid 19th century when increasing parts of the country were defeated by the French. The entire area of Vietnam, Laos and Cambodia were declared "French Indochina" in 1887. 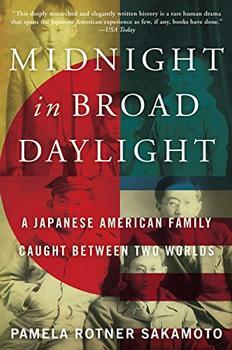 Alternating between American and Japanese perspectives, Midnight in Broad Daylight provides a fresh look at the dropping of the first atomic bomb. Three generations of a family living under one roof reflect the dramatic transformations of an entire society in this memoir of life in 20th century China.